A.H.R. Florals is partnered with Vin de Syrah for a montly course in keepin' fresh & pretty. Learn the in's & out's of floral design and walk away with your very own glorious creation. 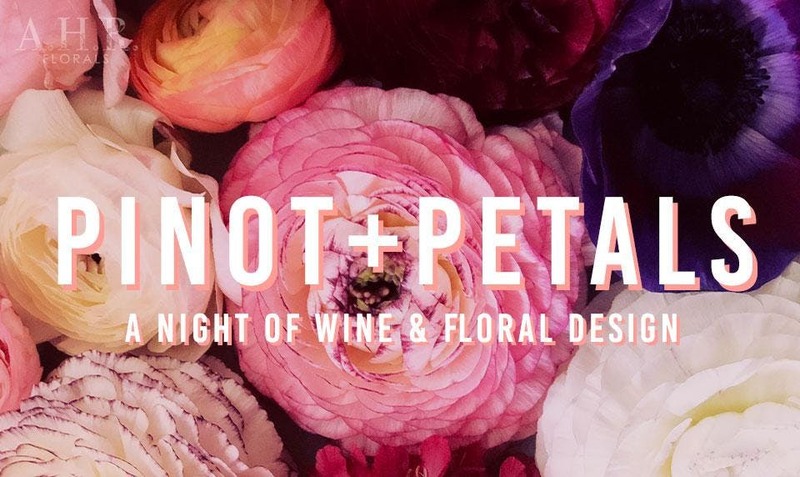 Ticket includes flowers, supplies, vase and access to amazing drink/food specials from Vin de Syrah.